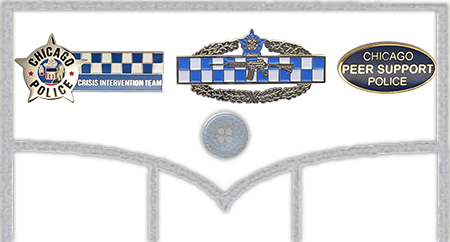 Recognition badges displayed in cluster according to their order of precedence and as required to be arranged on the Class A and B uniforms. A single badge will be positioned 1/2″ below and centered on the shirt or outer garment pocket flap. Multiple badges shall be positioned end to end on the same horizontal line as the first badge and centered on the pocket flap. No more than three badges shall be assembled in any given row. Badges shall only be worn on the members outer garment, excluding rain wear and the pull-over sweater. Outer garments without a pocket flap will position the badge 1/2″ above and centered on the pocket edge. 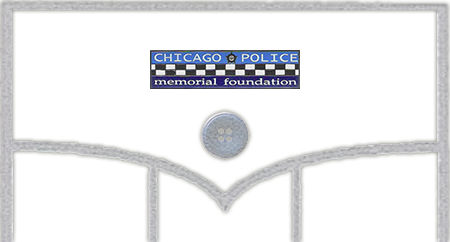 NOTE: The Carbine Qualification Badge is not approved by the Chicago Police Department.